Modern and versatile this Dining Table Set is an ideal addition for any small dining or kitchen area. 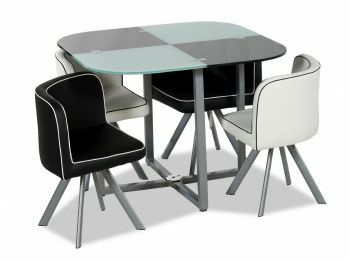 The table is finished in black and white or in beige and brown colours. 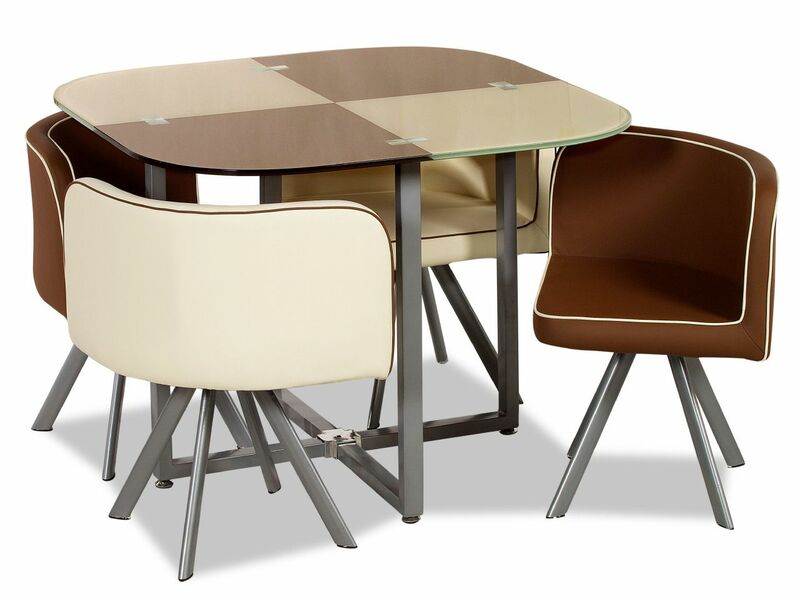 Comfortably accommodates four diners with four PU leather chairs that fit nicely under the table when not in use. Note: Delivery for this item is set @ £14.99 for economy service.